What is seen below is your Gondolier's uniform in real-life. Venice Bedrooms http://www.venicebedrooms.com/history.html Accessed 30th June, 2008. In episode 10 of ARIA the Natural at 00:10, we see generic shots while Akari goes on her usual introduction. 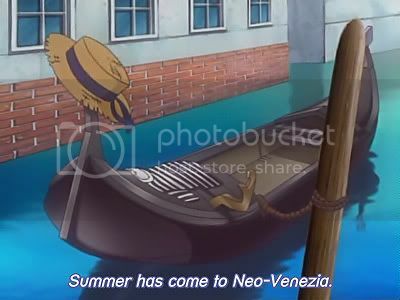 One of them is a moored Gondola with a shirt and straw hat. 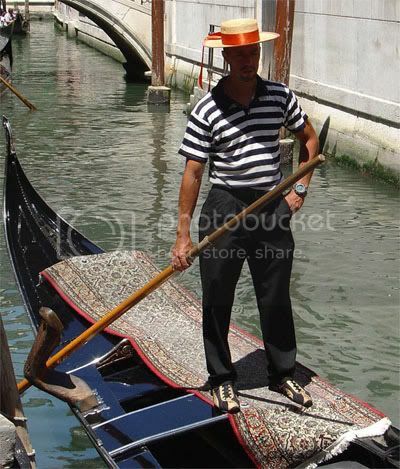 These are the Gondolier's uniform in real life!